Planning to attend a cousin’s wedding, take a break from work, looking to explore Incredible India, spend family time, celebrate Diwali, Holi or any other reason? Try Fly Cheap Always and get the best deal on flights and hotels. 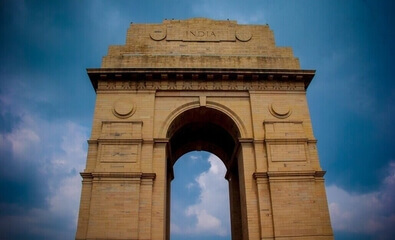 Use FlyCheapAlways.com to find cheap flights to India. The top Destinations in India are New Delhi, Bangalore, Mumbai, Hyderabad, Chennai, Jaipur, Goa, Ahmedabad, Kolkata, Bhopal, Pune. Subscribe to our newsletter and find the best deals and tips to save more. From the land of Taj Mahal and poets to the land of Bollywood and festivals, India is a vibrant country with many religions and a million gods. Hike the Himalayas, sip the best tea in Darjeeling, dance to Bollywood tune, explore hi-tech in Bangalore, take a dip in the holy river the Ganges, watch the country go crazy over a game of cricket, visit numerous temples, practice yoga in Uttrakhand, take a bite of butter chicken and more. There is so much this country called Incredible India has to explore. India is very rich in history, the invention of the number “0”, shampoo, Yoga, Chess, buttons on your shirt, cataract surgery, wireless communications and many more originated in India. 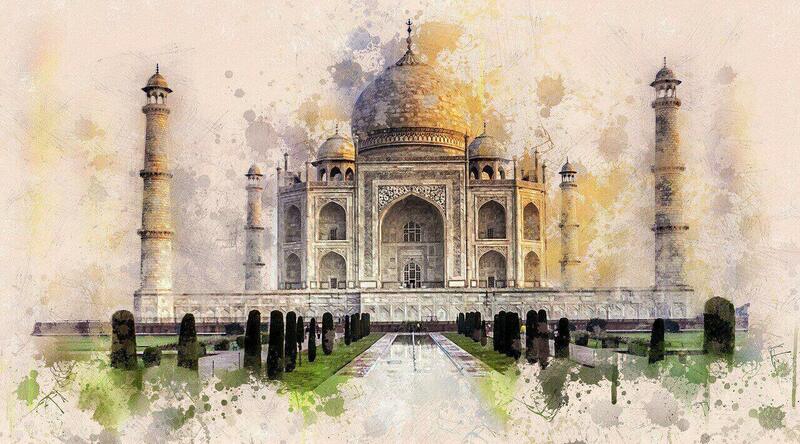 Taj Mahal, Ajanta Alora, Golden temple, Qutab Minar, Char Minar are architectural beauties. Hindus, Islams, Buddhists, Jains, Sikhs, and Christians alike can call India their home. India has 6 seasons a year: Vasant Ritu, Grishm Ritu, Varsha Ritu, Sharad Ritu, Hemant Ritu, and Shishir Ritu which translates to Spring, Summer, Monsoon, Autumn, Prewinter, and Winter. The 6 seasons are roughly 2 months each and are more prominent in Northern India and their neighboring countries like Nepal, Bangladesh, and Bhutan. Each season has its own beauty and festivals, therefore anytime is the best time to visit India. 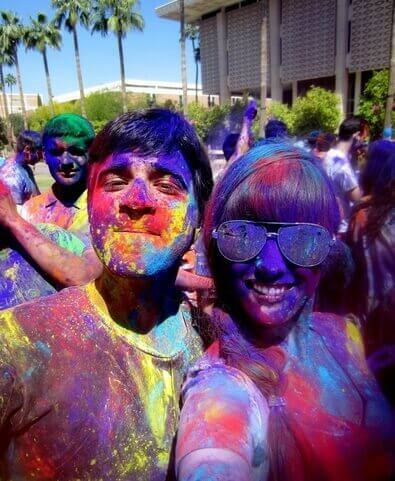 If you want to attend the colorful festival of Holi visit North India in Spring, or experience Diwali is in pre-winter. Delhi, Agra, Mumbai, Jaipur, Udaipur, Leh, Ladakh, Pune, Amritsar, Kolkata, Hyderabad, Chennai, Pondicherry, Goa, Shimla, Shillong, Varanasi, Bangalore, Mysore. Pack cotton for summer, layers for winters, raincoat for the monsoon. Make sure to carry a hat and sunscreen for sunny days. Dress conservatively and for women a scarf on the forehead when visiting temples and sacred sites. Make sure to only drink bottled water and pack a power strip with a power plug converter so you can charge multiple devices with your power strip. The power strip plug should have a converter for India electric outlets. Pack toilet paper in your day bag when visiting public restrooms and touring small cities. Diwali is a festival of lights, celebrating good over evil. It is the festival where Lord Rama (Vishnu's avatar) returned to Ayodhya along with goddess Sita, Lakshman, and Hanuman on the 3rd day of the 5-day festival.Diwali is a Sanskrit term for "rows of lighted lamps". 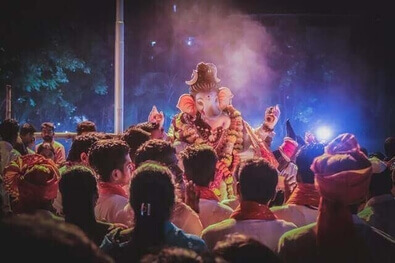 Like all other Indian festivals, it is celebrated by worshiping Ganesha and Laksmi, beginning with lighting lamps in every dark corner (destroying evil) in the house. For Hindus, it is the biggest festival of the year, where people light firecrackers, wear ethnic clothing and celebrate by eating sweets. Also known as the "festival of colors", it can be compared to Thanksgiving where farmers give thanks for a bountiful harvest. It signifies the victory of good over evil, the end of winter and the start of spring. The night before Holi, Holika Dahan or the Chhoti Holi is celebrated. A large bonfire is lit to end the evil and start the next day playing with colors. It is celebrated when there is a full moon during the month of Phalgun based on the Indian calendar which roughly falls between the 15th of February and mid-March as per Gregorian calendar. Holi is celebrated throughout India but Vrindavan Holi is famous for its celebration with praying to Lord Krishna. Also knowns as Rakhi, it is a festival celebrating brotherhood and love. It is celebrated irrespective of caste or religion. A sister ties a Rakhi, wristband made of red, gold threads, on her brother's wrist, celebrating their relationship. The brother gives gifts and promises to protect and stand by her in all phases of life. Janmashtami ( the birthday of Lord Krishna) is 8-9 days after Rakshabandhan. If you know something about Hinduism then you probably know about the Greatest of Greatest Lord Shiva, Maha Shivaratri which means “The Great Night of Shiva”. It is celebrated each year on a moonless 14th night of the month Phalgun the 11th month as per Indian calendar. It is a very auspicious day and some pandits believe it marks the wedding day of Lord Shiva and Goddess Parvati. Some say it was the day where Lord Shiva performed Tandav, the famous dance by Lord Shiva. Lord Shiva is a strong believer of equality and because of this worshippers can pray and celebrate this day with both flowers and cactus, gold and mud, milk and Bhaang. Also known as Vinayaka Chaturthi it is a Hindu festival celebrating the birth of Ganesha or Ganesh (the god of prosperity and wisdom), the son of Shiva and Parvati. Ganesha is a very popular god in Hinduism and is one of the most worshipped gods. Hindu tradition states that Ganesha is a god of wisdom, success and good luck. It is a 10-day festival marking the birth of the elephant-headed deity Ganesha. It falls in the months of August or September according to the Gregorian calendar. At the start of the festival, idols of Ganesha are placed on raised platforms in homes or in elaborately decorated outdoor tents. Amid the chanting of Vedic hymns from religious texts, like the Ganesh Upanishad, the idols are anointed with red sandalwood paste and yellow and red flowers. Ganesha is also offered coconut, jaggery, and 21 modaks (sweet dumplings), considered to be Ganesha’s favorite food. At the conclusion of the festival, the idols are carried to local rivers in huge processions accompanied by drum beats, devotional singing, and dancing. There they are immersed, a ritual symbolizing Ganesha’s homeward journey to Mount Kailas—the abode of his parents, Shiva and Parvati. FlyCheapAlways finds you savings on airline tickets and hotels in India. We at flycheapalways compare fare from 700 airlines and 200 travel agencies to find you the best low fare flights. We are continuously working to find you the best travel deals and offers to enjoy more and save more on your trip.